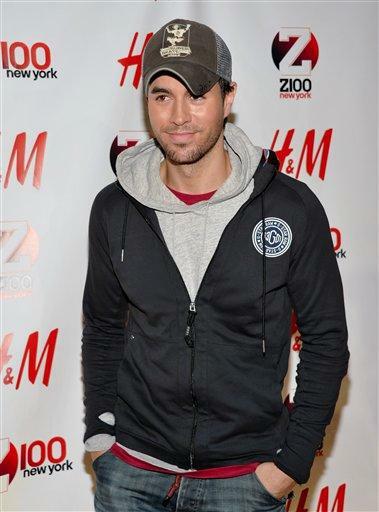 MIAMI (AP) - Pop crossover star Enrique Iglesias dominates the list of finalists for the 22nd Billboard Latin Music awards with 14 nominations. Shakira follows close behind with 13 nods. Telemundo announced the nominees for the April 28 award ceremony to be aired live from the BankUnited Center at the University of Miami. Iglesias shares the nomination for artist of the year with the native Bronx group Aventura, the Mexican pop trio Camila and Shakira. Iglesias also competes in the Hot Latin Song of The Year category with "Cuando me enamoro," or "When I fall in Love," which he sings with veteran Juan Luis Guerra. Guerra received nine nominations. Also nominated was Lady Gaga, signaling the increasing crossover of English-language on Latin music stations.